At Bistro Meringues, we want to encourage you to GET CREATIVE! Our Vanilla Dessert Cups are the perfect starting point for endless gourmet creations. 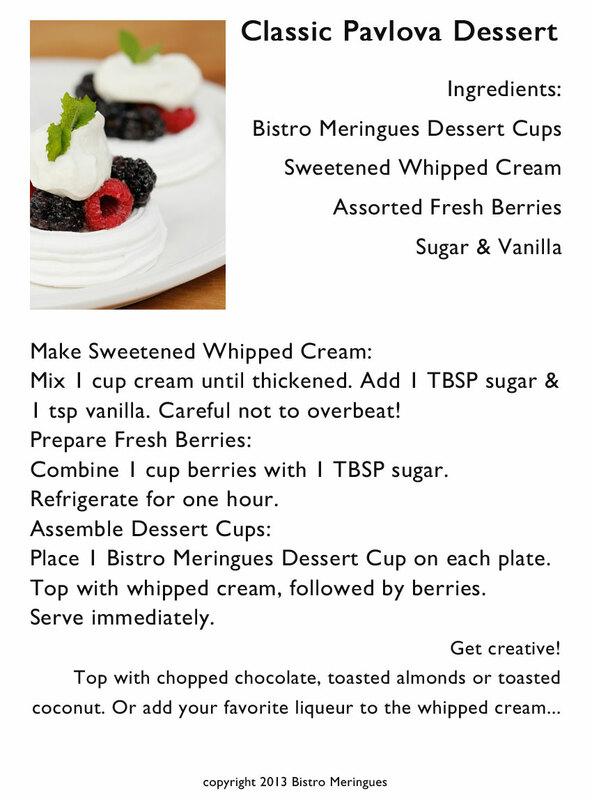 See our featured recipe below or share your favorite meringue cup recipe on our Facebook Page. © 2019 . All Rights Reserved. Created using PressWork.